What do sunroom windows cost? Sunrooms can have anywhere from 5 to 20 windows – so the replacement window prices are all over the board. For 10 windows and installation, the price range will be $1,850 to $10,000. Installation prices vary widely depending on whether you are doing new construction or simply replacing windows. 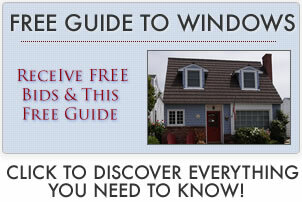 For additional information on sunroom windows, click here. Entry level prices top out at $250 per frame. 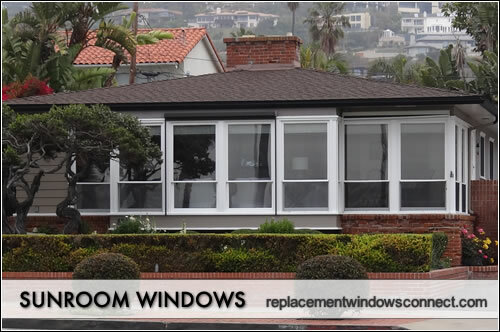 This usually involves a lower or mid range vinyl window with a limited number of color options and features. The glass package will be on the basic side, perhaps using a low-e glass but no fills or spacer system. A window at this price level will most likely be a fixed frame or non-movable window. The standard prices averages about $350 per frame. This may include a quality vinyl, uPVC, composite or aluminum window frames. The glass package will be mid grade and have low-e glass, some sort of fill and use standard harware. The windows may be non-movable but you might have one or two single hung or double-hungs on the sides for ventilation. High end prices max out somewhere around $750 per window. This assumes a well made aluminum clad, wood clad, steel, fiberglass or solid wood clad window from a nationally known manufacturer. The glass package may include double or even triple panes, foam insulated or krypton fills and a uv coating to reduce the heat in the room. At this level, consumers can expect some variation in the style used such as casements or awnings to be utilized to allow for better ventilation. Installation costs will run from $600 to $2500 for our 10 window example. If the project involves simply replacing existing frames the job will be on the lower side. If the installers need to prep, demo, frame, finish and mull frames together, the job will be extensive and will be at the higher pricing scale. This price includes all of the costs for the project; windows, all addtional materials and the installation. Click to use our window cost estimator and find pricing for 100s of project options. This price includes all of the costs for the project; windows, all addtional materials and the installation. Milgard and Wincore are two suggestion for a solid mid range manufacturer. This price includes all of the costs for the project; windows, all addtional materials and the installation. Andersen and Marvin are two suggestion for a solid mid range manufacturer.